Fourteen-year-olds Elliot and Vincent live worlds apart, but both dream of a better life. Learning to run the Montana ranch that he will some day inherit, Elliot dreams of being an astronaut. In Africa, Vincent must deny his thirst for knowledge of the world beyond his village in order to become a Masai warrior. Forced to quit school, his only link to the outside world is a short wave radio. The boys find each other when NASA chooses Elliot to be its first Junior Astronaut. 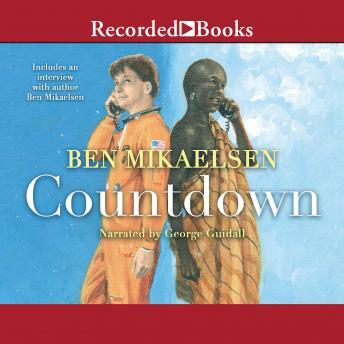 As Elliot hurtles through space over Africa, Vincent picks him up on the short wave radio. At first their communications, monitored by the news media, are fraught with misunderstanding. But as they learn about each other's culture, their friendship captures the world's attention and promises hope for the future. George Guidall's narrative expertise instantly gets listeners involved in this fast-paced coming-of-age tale. They are sure to absorb its inspiring message about the value of communication among cultures.